The more that is written about the Internet of Things and its myriad of potential game changing applications, it seems that the terms “IIoT” and “disruption” become more closely aligned. Disruption in business models. Disruption in licensing and IP protection. Disruption in interoperability standards. Disruption in collaborative partnerships. These notions of disruption and the challenges presented by the IIoT were addressed in the 2nd Edition of the Industrial Internet Consortium’s (IICs) Journal of Innovation: How IIoT is Disrupting Markets and the Economics Behind the Disruption. This edition of the Journal presents several articles from IIC members who share their views on the impact of the IIoT in the retail, medicine and manufacturing sectors. Editor Brian Wescott noted a common underlying theme of the articles was the need for organizational change to address the opportunities presented by IIoT technology. “We will need to define new jobs and training and discover better ways to collaborate across companies globally; find different ways to manage organizations and partnerships with new business models; find different ways to gain competitive advantage while still creating open, interoperable systems that take advantage of the great range of ideas and products that are emerging,” he said. The overarching vision of the Medical Internet of Things is to enable the deployment of patient-centric and context-aware networked medical systems in all care environments which will ultimately serve to improve patient outcomes at lower costs. The key to realizing this vision is development of standardized architectures that balance utility, reliability, and safety requirements with those of security and privacy. The main applications for IoT in Retail (IoT-R) are to drive efficiencies across supply chain and store operations and improve customer experience. The IIoT-R can act as a disruptive differentiator by not only improving retailer’s bottom line through operational efficiencies, but also impacting the top line by providing an immersive customer experience at the stores. Favorable economics of shared platforms and the innovation potential of interoperable IIoT applications will fuel the proliferation of horizontal IIoT platforms that will enable implementation of multiple IIoT applications across various business units. This article illustrates this potential from the perspective of a large-scale, intelligent transport systems trial. The Industrial Internet is an Internet of things, machines, computers and people, enabling intelligent industrial operations using advanced data analytics for transformational business outcomes. When applied, these “things” may need to be adapted for a specific industrial sector based upon unique requirements. There is a need to embrace a set of terms used universally to identify, describe and refer to these various things and industrial sectors. Productivity in manufacturing is an important measurement of growth and competitiveness in the global economy. This paper presents opportunities where productivity can be improved by the introduction of digital technologies like the IIoT in various areas such as equipment maintenance, inventory optimization, energy saving, and labor efficiencies. Both interoperability and composability are equally important components towards leveraging the promise of the IIoT. This article reviews the approaches that have been used in consumer/commercial Internet scenarios, identifies the foundational concepts and unique challenges for these problems in the Industrial Internet, and suggests a roadmap toward realizing interoperability and composability in the IIoT. You can download the latest edition of the IIC Journal of Innovation here. Subscribe to our blog to be notified of the next Journal of Innovation edition, where Wibu-Systems along with the Karlsruhe Institute of Technology and its IT Research Center will author a piece on the evolution of encryption technologies and their implementation in the industrial field. Terry Gaul is a sales and business development professional with extensive experience in the software and technology sectors. 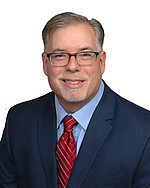 He has been involved with software protection and licensing technologies for more than 20 years and currently serves as Vice President of Sales at Wibu-Systems USA. When he is not helping customers with software licensing, Terry typically can be found coaching his daughters' soccer teams or camping with his family on the Maine coast. Time for IoT Security Standards? Are You Ready for the Subscription Economy?